These three new Concealer Palettes have been specially designed for matching black and mixed skins. These four colours conceals the most severe skin flaws, thanks to a “magical shade” that neutralizes and illuminates the darkest areas: black under eye circles, darkspots, scars. Light and Medium shades correct imperfections and the darkest shade can be used to contour facial features. Its cream, pigment-enriched texture, offers an optimal level of coverage and an invisible result. Oil Free and Paraben Free. 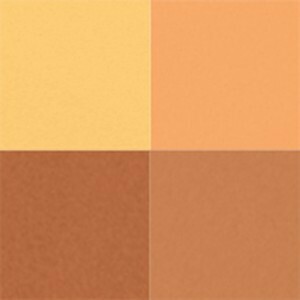 Light mixed skin tones : Concealer Palette n°1. 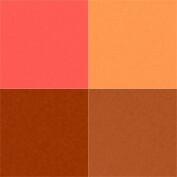 Dark mixed skin tones and medium skin tones : Concealer Palette n°2. Ebony dark skin tones : Concealer Palette n°3. Size: 4 x 0.05 OZ. STEP 1: Smooth the magic shade n°1 on black ring following the arrows. STEP 2: Apply your Foundation and make sure the makeup result is perfectly even. STEP 1: Mix the magic shade n°1 with the shades n°2, n°3 and/or n°4 depending on your skin tone. STEP 2: Apply this customized shade by taping the area to conceal. STEP 3: Apply your Foundation and make sure the makeup result is perfectly even. STEP 1: Apply the magic shade n°1 in fine lines on the bridge of the nose following on forehead and ending by the chin. (+/-) MAY CONTAIN : CI 77491 (IRON OXIDE), CI 19140 (YELLOW 5 ALUMINIUM LAKE), CI 77891 (TITANIUM DIOXIDE), CI 77499 (IRON OXIDE), CI 77492 (IRON OXIDE), CI 16035 (RED 40 ALUMINUM LAKE). This has GOT TO BE THE BEST concealer I have EVER gotten and could be the best foundation!! I didn't think that I could guess correctly on which pallet to get. 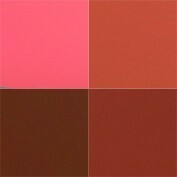 This matches my skin tone (the browns) then when I add the red it's PERFECTION. Get this ladies!! !